Part of Gov. 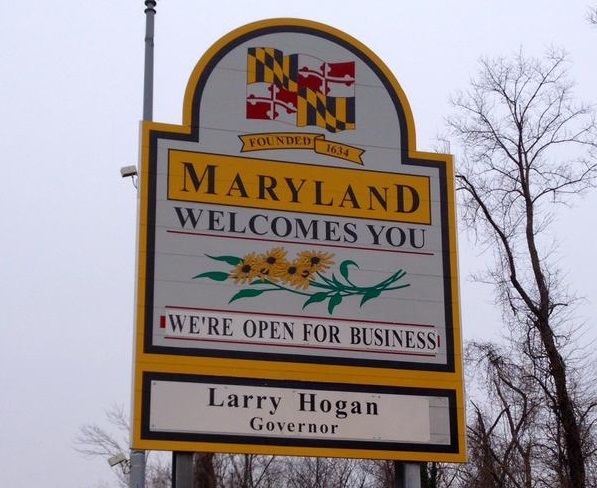 Larry Hogan’s promise to make Maryland “open for business” is a bill exempting many small businesses from the personal property tax collected by the counties. The exemption would be given to businesses with less than a $10,000 property value, on items such as equipment, furniture, computers, tools and inventory. It applies to more than half of Maryland’s small businesses and will result in an estimated $7 million in tax relief. “This is a first step in providing relief to small businesses,” said Chris Carroll, Hogan’s deputy legislative officer at a House Ways and Means Committee hearing Friday. The biggest impact of HB 480, however, would remove a $300 annual report fee that allows the State Department of Assessments and Taxation to collect $69.4 million annually from businesses in the state. That’s how the bill is currently written, but was not the intent of the administration, according to Michael Griffin, associate director of the State Department of Assessments and Taxation. Businesses would still have to pay the filing fee. Maryland repealed its personal property tax in 1984, but counties and municipalities are currently allowed to tax personal property. HB 480 would add local governments to this exemption. To reduce the impact, a “phase-out” in state relief to counties is promised by the bill. “Although this bill fully offsets the revenue loss to counties in fiscal 2017, this offset is phased out over three years, leaving counties to absorb this loss,” said Andrea Mansfield, legislative director for Maryland Association of Counties (MACo). The offset starts out at 100% in 2017, 75% in the second year and 50% in the third year. Mansfield said MACo’s position is that the decision should be left alone and made locally, not statewide. The exemption will apply to only a small portion of personal property taxes collected by local governments. They collected $588.9 million in personal property tax revenues in fiscal 2014 and $597.4 million in fiscal 2015, according to the Department of Legislative Services. Jessica Cooper, state director for the National Federation of Independent Business (NFIB), testified that the relief provided for smaller businesses would be immense, taking off the burden of annual filing and fees, which can cost up to $300. “Personal property tax is a levy on equipment and tools…one business even said they’re paying a tax on a typewriter,” Cooper said. Del. James Tarlau, D-Prince George’s County, brought virtual companies into the equation. He asked how an online company, that may have a high revenue but a small property value, would be taxed. “We’re trying to make it as simple as possible,” said Griffin. For all businesses, including virtual, the exemption would be based off of property value and not whether they have a large or small revenue. In order to qualify for the exemption, businesses would have to apply through the Department of Assessment and Taxation the first year. Following years there would be a “check off box,” saying “that I am exempted” already. “We believe our business owners are going to be honest,” said Griffin. In Luedtke’s home county, the Montgomery County Chamber of Commerce (MCCC), is in favor of the bill, believing it would retain Maryland business. “For a small business that looks to the personal income tax code to make decisions, it is increasingly difficult to come to Maryland and to stay in Maryland,” said Gigi Godwin, President of MCCC. Through this bill MCCC hopes businesses will be encouraged to come, grow and stay in Maryland. HB480 is backed by 41 Republican Delegates and one Democrat, Del. C.T. Wilson of Charles County.